THE MOUNTAIN LAKE City Council. Seated front, from left, Council Member Dana Kass, Mayor Mike Nelson and Council Member Darla Kruser. Standing back, Council Member Andrew Ysker, left and Council Member David Savage, right. 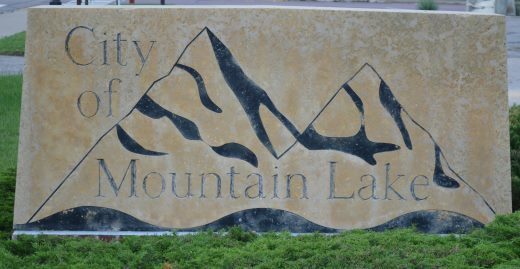 The Mountain Lake City Council took up the 2018 list of designations and appointments at the city government body’s Tuesday, January 2 meeting. + City Attorney – *Muske, Muske & Suhrhoff, Ltd.
Council members reviewed, amended and adopted the City Code ordinance that establishes rates, fees and administrative fines, with the changes from 2017 noted. 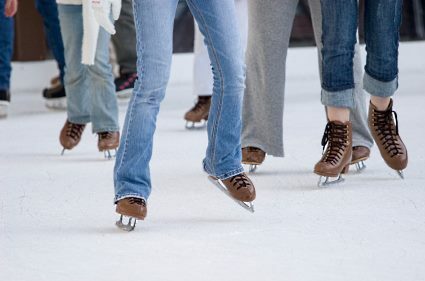 The complete listing can be seen at Mountain Lake City Hall. + Approved the hiring of Taylor Nesmoe as Water/Wastewater Work as of January 4, 2018. + Approved 2018 wage and salary increases as stated in union contracts or previously determined by the council. Salaries in the 2018 city and utility budgets were increased an average of 2% over 2017. + Heard a report from Mountain Lake City Attorney Maryellen Suhrhoff on the Mountain Lake Police Fine Schedule, part of Ordinance #1-18. Attorney Suhrhoff recommended changes to, and addition of, offenses and fines due to new and revised city ordinances. Following discussion, the council adopted the revised schedule per Suhrhoff’s recommendation. + Briefly reviewed a letter from the League of Minnesota Cities Insurance Trust Fund (LMCIT) 2018 Property/Casualty regarding the 2017 dividend. + Briefly reviewed the seniority list as of January 1, 2018, included those hired by contract and for the summer. + Adopted the minimum General Fund Balance and Assignment of General Funds. + Heard from representatives of Heartfelt Home Care. They discussed their services and plans to expand into the Mountain Lake area. Heartfelt recently opened an office at 227 10th Street North. + Agreed to hold a special meeting this evening (Tuesday, January 9) to interview firms to assist with the hiring of a new administrator/clerk. Firms set to be interviewed included DDA Human Resources and Springsted Waters. + Learned that the next “Coffee with the Council” will be held in February. Administrator Meyer will contact the restaurant owner to determine a suitable date and time. Possible February dates were discussed. A decision will be at the Monday, January 15 council meeting when all members are present. 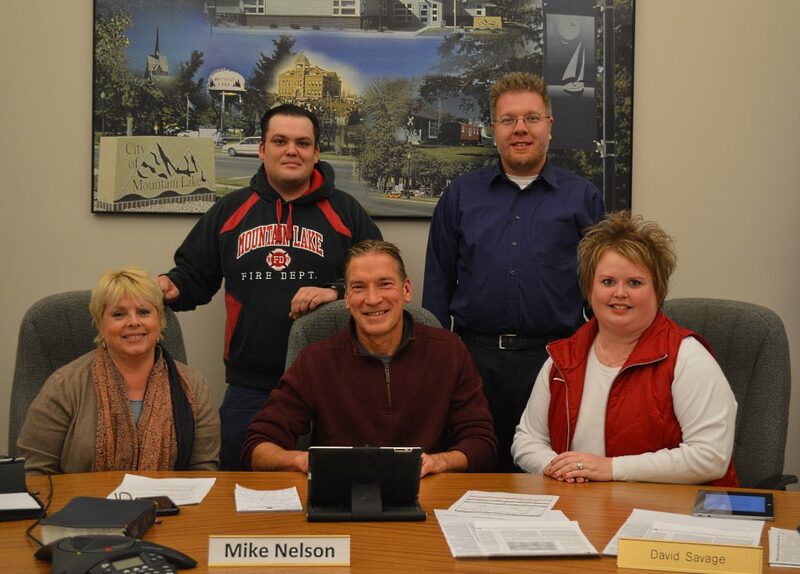 + The next city council meeting will be Monday, January 15, 6:30 p.m., in the Mountain Lake City Council Chambers. January meetings will be held Tuesday, January 2 and Tuesday, January 16 due to New Year’s Day and Martin Luther King Junior Day observance. Second February meeting will be held on Tuesday, February 20, due to Presidents’ Day observance. Second June meeting will be held on Monday, June 25 to Pow Wow celebration. July meetings will be held Monday, July 9 and Monday, July 23. First September meeting will be held on Tuesday, September 4 due to Labor Day observance. December meetings will be held Tuesday, December 4 and Tuesday, December 18 due to school events. + Mountain Lake City Council meets the first and third Mondays of every month at 7 p.m.
+ Utilities Commission meets the second and fourth Thursdays of every month at 7 a.m.
+ Economic Development Authority (EDA) meets the second Friday of every month at 12 noon. + Lake Commission meets the second Monday of every month at 6:30 p.m.
+ Library Board meets the second Wednesday of every month at 4:45 p.m.
+ Police Commission meets the second Thursday of every month at 7 p.m.
+ Planning and Zoning meets the last Monday of the month, if needed. + Tree Commission meets quarterly – January, April, July and October – at 7:45 p.m.